A lovable doll, to be cherished and played with for years to come. Designed to help to inspire creative role play sessions and develop a real sense of companionship. These charming Bigjigs Dolls love to play & want nothing more than cuddles with her best friend. 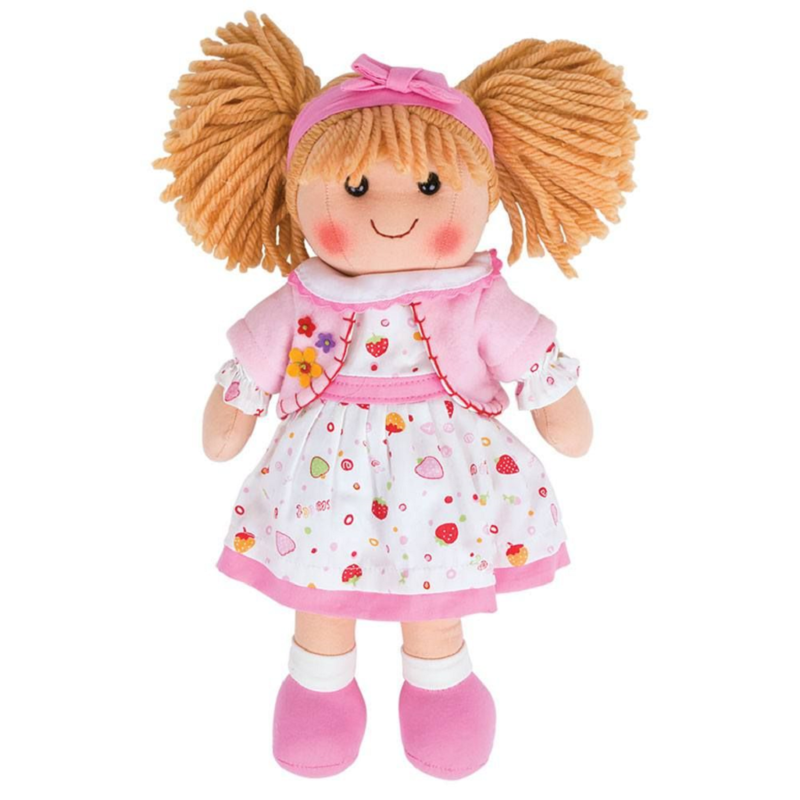 Meet Kelly - this soft and cuddly doll has a cute pink dress and a matching cardigan. She's just waiting for a best friend to share playtime with. Bigjigs Dolls are always popular with children and we think this friendly and cuddly toy is bound to become a firm friend to any youngster. 1 x Bigjigs Doll (Kelly).